A student of the Feliks Nowowiejski General Primary and Secondary Music School in Gdańsk in the violin class of Krystyna Rychlicka (temporarily replaced by Szymon Morus). She is a participant and laureate of many soloist and chamber music ensemble competitions. Gutowska won 3rd place at the 8th Grażyna Bacewicz National Violin Competition in Wrocław (2006), 2nd place in the younger age category at the 2nd Tadeusz Wroński Youth Solo Violin Competition in Tomaszów Mazowiecki (2008), 5th place at the 3rd Groblicz Family National Violin Competition in Cracow (2010) and 1st place with a piano trio at the 3rd International Chamber Music Competition in Oleśnica. She has participated in many master classes and workshops with Polish and foreign teachers, including K. A. Kulka, W. Wiłkomirska, J. Stanienda, B. Bryła, S. Cartledge, P. Munteanu and G. Michel. The Symphony Orchestra at the Feliks Nowowiejski General Secondary Music School in Gdańsk was established more than one half of a century ago. The ensemble has played under the direction of many conductors, including Zygmunt Rychert, Waldemar Górski and Monika Stefaniak. For more than 30 years, the orchestra was led by Professor Elżbieta Wiesztordt, achieving success many times in Poland and abroad. 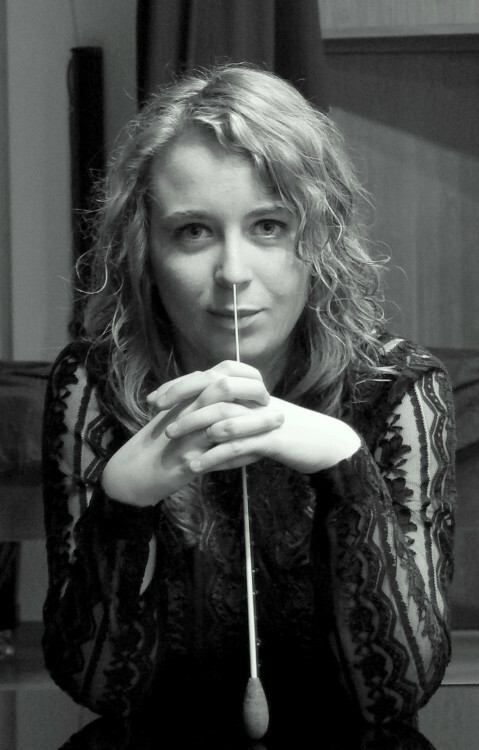 Since 2010, the orchestra has been directed by Sylwia Anna Janiak. Currently the ensemble consists of 70 musicians. 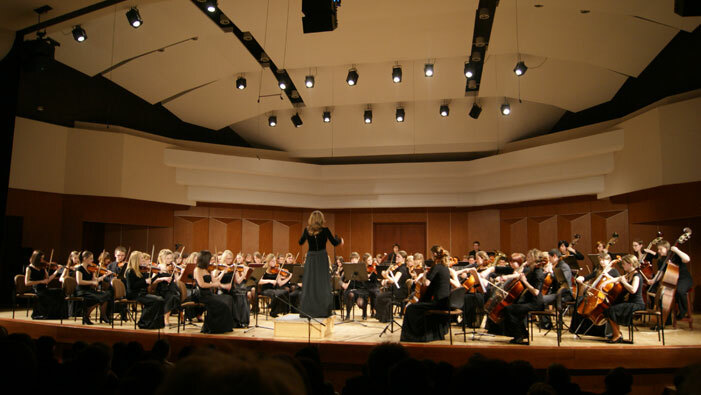 The orchestra performs at many regular concert cycles, including the Christmas Concert at the Gdańsk University of Technology, Graduate Concerts at the Academy of Music, the “Ku przyszłości” [Towards the Future] Contemporary Music Concert cycle held as part of the Gdańsk Science Festival and concert cycles at the Academy of Music devoted to individual composers. Every year, the ensemble also plays at the Eurounionorchestries International Young Musicians’ Festival in Świeradów Zdrój. Individual members of the orchestra are successful participants at domestic and international competitions and auditions, master classes and music festivals. The Orchestra’s extensive repertoire encompasses works by composers from the baroque to contemporary. Concert programmes mainly feature classical music (symphonic and chamber), as well as music from films and musicals. Graduate of the Karol Szymanowski State Music School Complex no. 4 in Warsaw in the violin class of Professor Krzysztof Podejko. Currently a student of the Stanisław Moniuszko Academy of Music in Gdańsk in two faculties: instrumental, specialising in violin in the class of Professor Krystyna Jurecka and conducting, composition and music theory, specialising in symphonic and opera conducting, in the class of Professor Elżbieta Wiesztordt. She has worked with many orchestras in Poland and abroad, including the Symphony Orchestra of the Academy of Music in Gdańsk, the Symphony Orchestra of the Academy of Music in Cracow, the Elbląg Orchestra, the Orchestra of the Polish Baltic Philharmonic, the Orchestra of the Podlaska Philharmonic, the Czech Radio Pilsen Philharmony Orchestra, the Winterthur Chamber Orchestra and the Orchestra of the Polish Chamber Philharmonic in Sopot. She has been leading the Symphony Orchestra at the Feliks Nowowiejski General Secondary Music School in Gdańsk since September 2010. In August of 2010 and 2011, she has performed with the Orchestra, and with the Grand Festival Orchestra during the Eurounionorchestries International Young Musicians’ Festival in Świeradów Zdrój. Each year, she performs contemporary music at the“Ku przyszłości” [Towards the Future] Contemporary Music Concert cycle held as part of the Gdańsk Science Festival and concert cycles at the Gdańsk Academy of Music devoted to individual composers. She has honed her conducting skills at the master class of maestro Gabriel Chmura in Cracow, during which she was selected to perform at the Final Concert with the Symphony Orchestra. She was the youngest participant to qualify to the 5th Witold Lutosławski International Young Conductors’ Competition in Białystok (2011). In August 2011 she established the Sinfonia Artistica Juvenilia Foundation for the Support of Young Artists. Its priority activity was to establish the Baltic Philharmonic of the Young symphony orchestra. On 25 February 2012, at the inaugural concert of the Baltic Philharmonic of the Young, Janiak conducted, among other works, Mahler’s 1st Symphony in D major, “Titan”. She is the initiator and one of the organisers of the 1st Summer Orchestra Workshop of the Baltic Philharmonic of the Young (2012). In October 2011 she commenced work at the Faculty of Conducting, Composition and Music Theory at the Gdańsk Academy of Music, teaching students conducting and reading of scores. 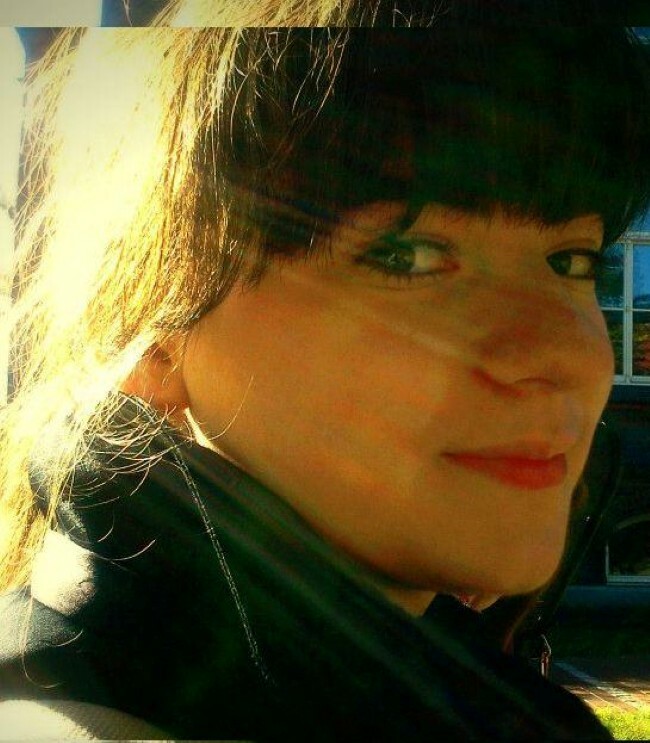 In November 2011 she received the Scholarship of the Rector of the Music Academy for top students.